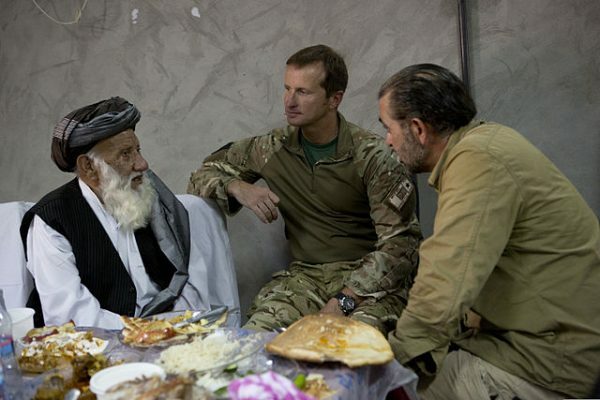 During the United Kingdom’s involvement in Afghanistan, British forces were supported by some 3,000 civilian interpreters. These Afghan interpreters were often exposed to extremely dangerous situations. In its report Lost in Translation? Afghan Interpreters and Other Locally Employed Civilians, the House of Commons Defence Select Committee has now found that Government’s scheme to safeguard Afghan interpreters threatened with reprisals for working with the British Army “has dismally failed to give any meaningful assurance of protection” from the Taliban. The committee’s report also calls for a more sympathetic approach to Afghan personnel seeking relocation to the UK after serving in front-line roles. Earlier this month, Sajid Javid, a man who does Home Secretary impressions, bowed to pressure over 150 interpreters seeking indefinite leave to remain in the UK under the Relocation Scheme, including waiving a £2,389 application fee. No such concessions have been made for many others who have made it to the UK or who are still in Afghanistan where they are targeted by the Taliban or Isis. Besides the Relocation Scheme, the government also initiated the so-called Intimidation Scheme; this had the aim of relocating interpreters within Afghanistan if they faced threats from the Taliban or Islamic State, only offering them a place in the UK as a last resort. However, not a single Afghan has been relocated as part of the intimidation scheme, which the Select Committee describes as an “utter failure”. It goes on to say that the scheme is perceived as unfair and miserly and that will continue until it “offers a genuine prospect that, when individuals face serious and verifiable threats to their lives, as a result of having helped UK armed forces, they will be allowed to come to the UK”. Amongst its recommendations, the committee has called for a more sympathetic approach and looser application of the Intimidation Scheme. Many members of the armed forces who served in Afghanistan go further than the Select Committee and believe that the UK has a debt of honour to resettle all former civilian interpreters in the UK and that their former colleagues are been caught up in the racist Home Office’s crackdown on immigration. This entry was posted by Steve Woods on May 26, 2018 at 06:54, and is filed under Language, Politics. Follow any responses to this post through RSS 2.0. Both comments and pings are currently closed.